The goal was to take the home and transform it into a modern home while keeping all of the original design character. The builders were able to add 400 square feet, while maintaining the original aesthetic and incorporating it into the family’s lifestyle. David Lund Design and Julie Madge Interiors designed the space to take advantage of the secluded setting and added an abundance of windows to invite sunlight in from every angle. With the original home split between four levels, the team combined spaces to create better flow and private sleeping quarters for the parents. 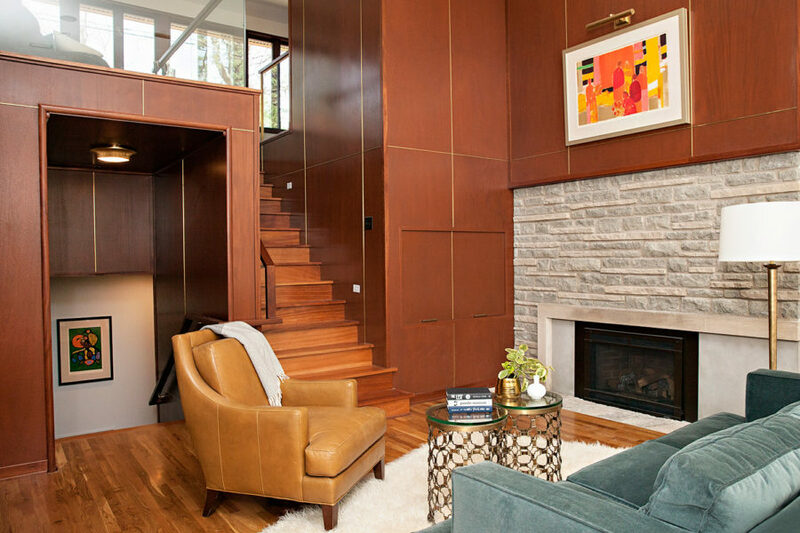 Don’t miss the stunning two-story mahogany wall paneling with brass in-lays—a real Art Deco design. 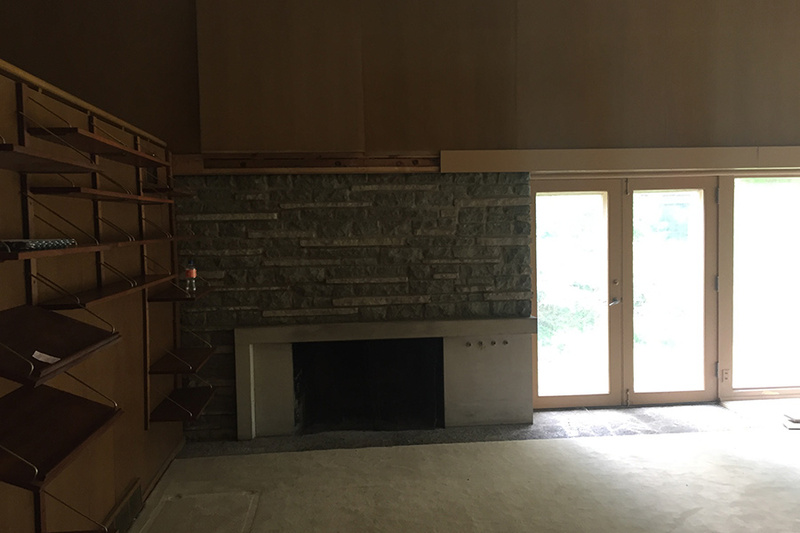 The two-story living room is equally breathtaking with bright windows and the original stone fireplace. On the second floor, an open-air lounge is finished off with a wood herringbone floor.